To make its case, the NhRP collected affidavits from nearly a dozen prominent elephant experts, including Lucy Bates, an Honorary Research Fellow at the University of St Andrews, and Richard M. Byrne, a research professor from the University of St Andrews. Kerry Bowman, a bioethicist at the University of Toronto, says this latest case is a clear indication of the growing cultural shift in attitudes toward nonhuman life. “This is a truly valid question for the courts of Connecticut as elephants are both sentient and sapient,” he told Gizmodo. Petitioner argues that the ability to acknowledge a legal duty or legal responsibility should not be determinative of entitlement to habeas relief, since, for example, infants cannot comprehend that they owe duties or responsibilities and a comatose person lacks sentience, yet both have legal rights. This argument ignores the fact that these are still human beings, members of the human community. The court basically concluded that humans are persons because they’re humans, and that chimps aren’t persons because they’re not humans. 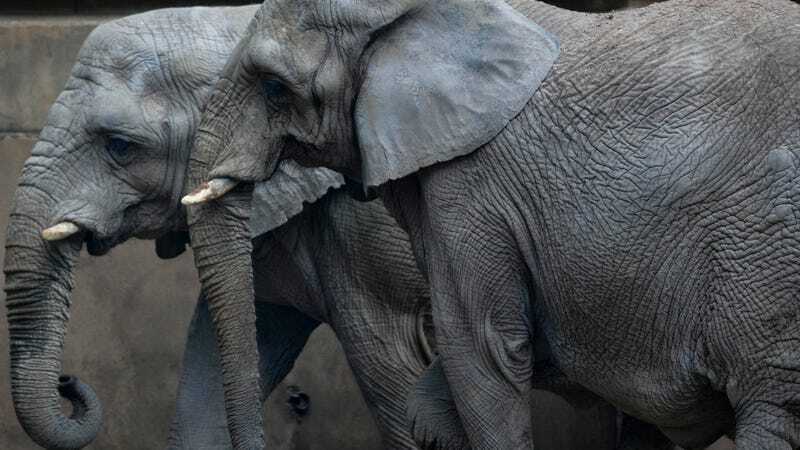 Wise has, quite justifiably, construed this as a mistake, and has decided to continue his team’s efforts in both New York and Connecticut, while also broadening the scope to include elephants. Wise believes that some of the New York courts got their own law wrong and issued decisions that were “remarkable for being unique in the English-speaking world.” For example, Wise says the definition of “personhood” used in the NY courts were pulled from Black’s Law Dictionary—a definition that the dictionary later disavowed. “[We] brought this disavowal to the attention of the court,” said Wise. “Still the court relied upon it.” Wise believes that the New York judges were hearing personhood arguments for the first time, and that it’ll take some time for the concept to become normalized in legal discourse. Speaking to The Washington Post, Richard L. Cupp, a Pepperdine law school professor who’s critical of the NhRP’s approach, argued that the best way to protect animals is through animal welfare laws. Wise, on the other hand, says “this is not an animal welfare case,” and that the three elephants have been deprived of their freedom. Clearly, this isn’t an issue that’s going away anytime soon. In addition to recognizing the personhood of qualifying nonhuman animals, our technologies may eventually get to the point when we’ll have to start recognizing the moral worth of artificial intelligence and robots. It would be incumbent upon us to get this figured out before we take the monumental step of imbuing sentience into a machine.